Blurb Description: Kahlen is a Siren, bound to serve the Ocean by luring humans to watery graves with her voice, which is deadly to any human who hears it. Akinli is human—a kind, handsome boy who's everything Kahlen ever dreamed of. Falling in love puts them both in danger . . . but Kahlen can't bear to stay away. Will she risk everything to follow her heart? 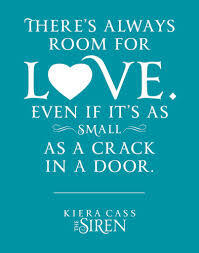 The first time I picked up a Kiera Cass book, it was May 5th 2015, on a flight to Hong Kong as a detour to get to Australia. I finished The Selection in the middle of the airport, and I stopped walking. Because what had just happened? I wanted (needed) to know what was going to happen next. I bought The Elite and The One via Kindle just a few minutes later, and we were good to go! I then spent the rest of the day at the airport reading The Elite and spent the night in the flight reading The One. As soon as I got off at Brisbane, I ran into the bookstore, bought The Heir and gobbled that down on the car ride to Gold Coast. 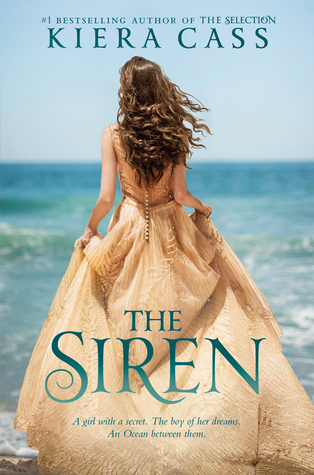 Now that you know my sleep deprived, I-read-a-series-in-a day-and-have-no-opinions about it because whoosh story, let me start with The Siren. Kahlen is a siren. A mythical creature we hear about only in horror stories or Ice Age, Sirens have beauty beyond measure, and their voices make anyone jump into the Ocean. 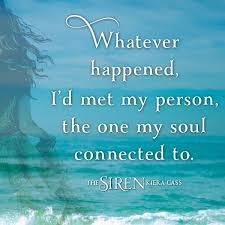 Sirens, however, were human at one point. And they have a deal with the Ocean. One hundred years in service to Her and they’ll be returned to the world, human once more. What did I expect? The Little Mermaid turned deadly. What did I get? Three Mute Beautiful Girls who have a freaky Ocean as a Mother and live on land with unlimited money and sink one ship per year. 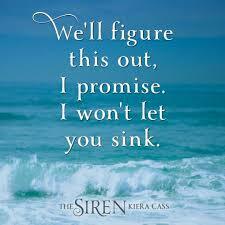 I think my favourite character was Aisling, a Siren sister who was just SO MOVING! She was AMAZING, and I loved every precious minute I had with her. Points Against: The CREEPY Ocean, Kahlen’s random sprouts of ‘deep thought’, too little Akinli and Kahlen. Oh. CREEPY OCEAN.